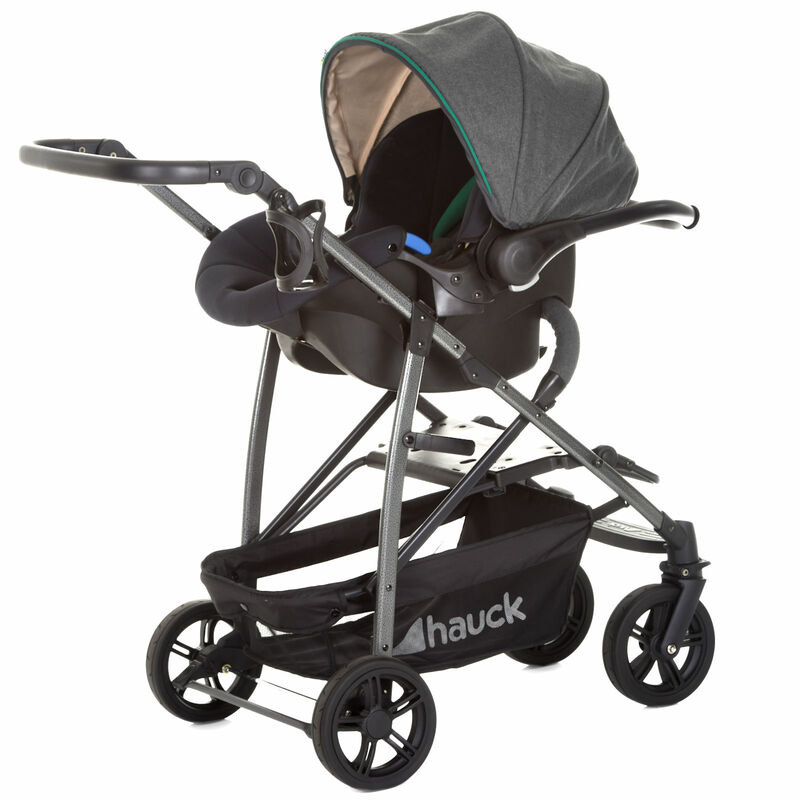 With its innovative single action ‘rapid’ fold and a release loop the Rapid 4S from Hauck is easy to carry up the stairs or take on the bus as it leaves your other hand free for carrying your child. Offering high levels of comfort the Rapid 4 features a softly padded seat and an adjustable reclining backrest which reclines to the full lie flat position suitable for newborns. The extendible sun canopy can be pulled forwards to offer protection against the elements and the footrest can be adjusted too. The padded, 5-point safety harness and front bumper bar keep your child safe at all times and the parking brake acts on both sides for increased safety. Its folded dimensions are so compact that the Rapid 4S can easily be stored in the smallest of car boots. Perfect for trips out, the Rapid 4’s front wheels swivel and can be locked if required. The suspension gently absorbs the shocks on uneven ground and the handle can be adjusted in height for different users. 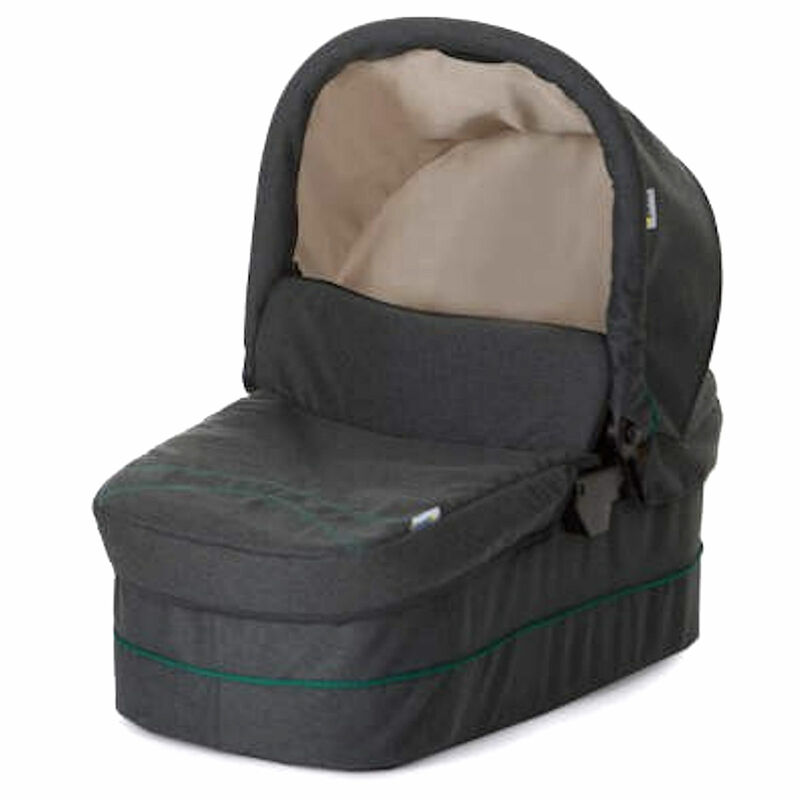 Your baby essentials and shopping can be stored in the large shopping basket underneath the seat. 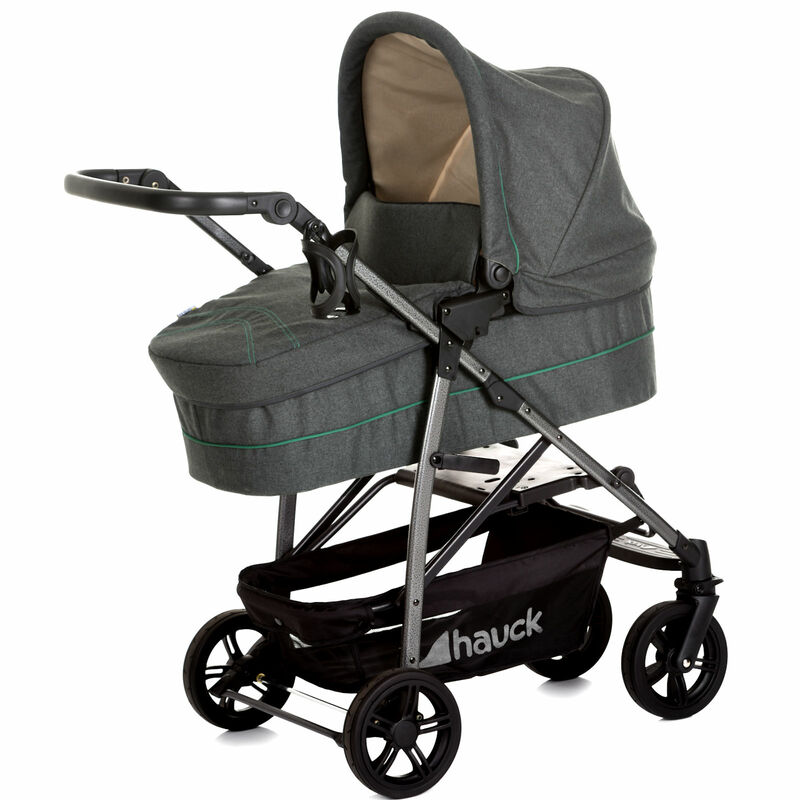 Also included comes the Comfort Fix group 0+ car seat which attaches to the chassis with Hauck’s ‘Easy-Fix’ system, transforming your pushchair into a clever Trio System enabling you to remove the car seat from the chassis and secure it into the car without the need to wake baby up (Base Sold Separately) With its tried-and-tested, patented, energy-absorbing foam in the head and shoulder area the car seat features high-quality, breathable, stretch materials so that your baby always feels comfortable in their car seat. 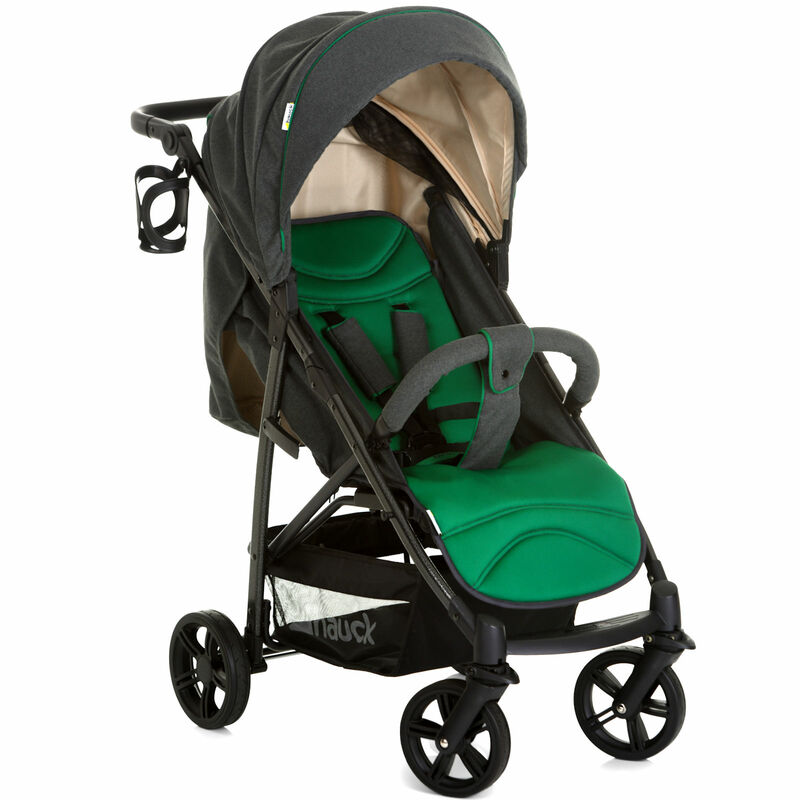 To complete the trio set is the snug carrycot. 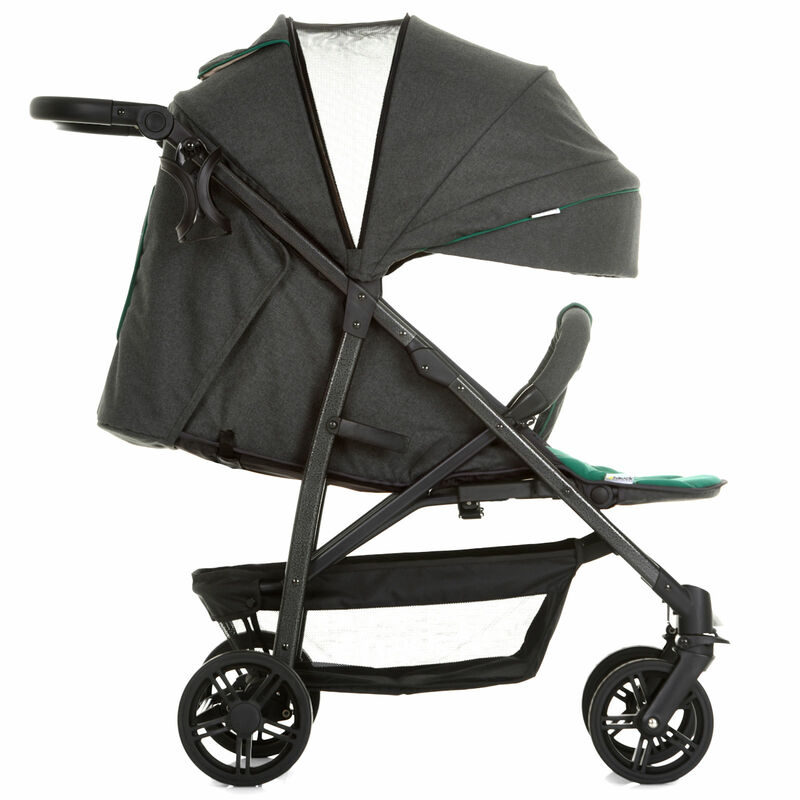 Suitable from birth your little one will stay warm and cosy during the winter months and allows you to keep baby sleeping when moving from pushchair to your home. 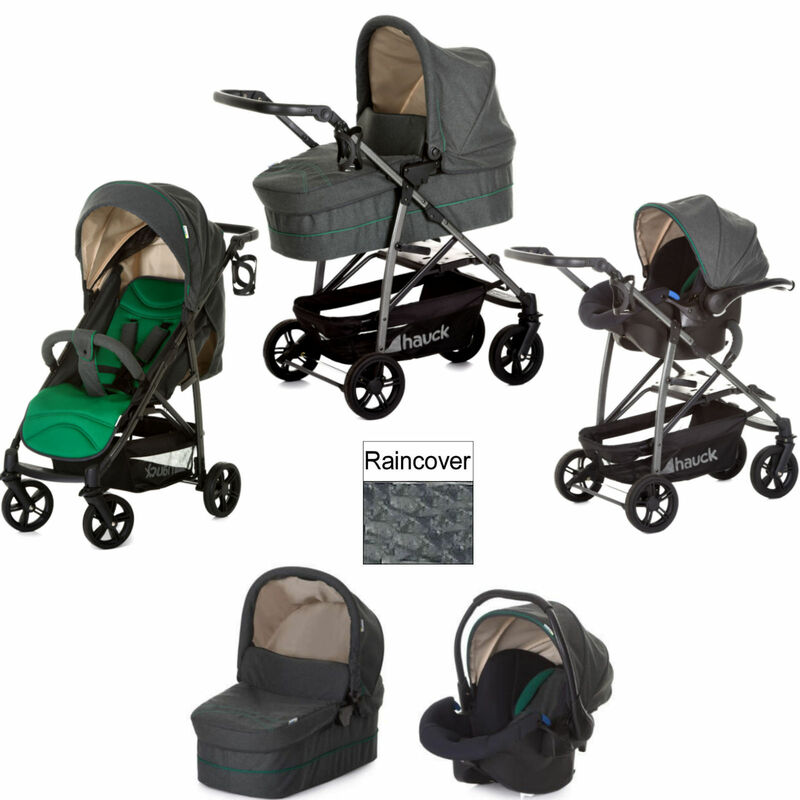 With its new 22kg weight limit this innovative trio set can be used from much longer.